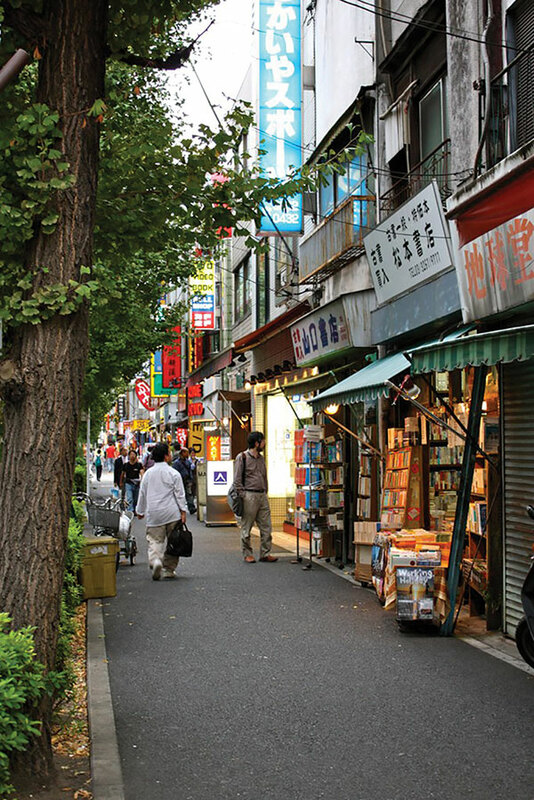 NESTLED IN TŌKYŌ'S Chiyoda Ward is Jinbōchō, a quieter side of the city that stands in sharp contrast with the frenetic energy of central Tōkyō. The first indication of the district’s unique history comes when you step off the subway at Jinbōchō station—images of stacked books adorn the walls from the tracks up to the ceiling. Climbing up to the main road of Yasukuni-dōri, one is liable to see books on carts practically spilling out of storefronts onto the sidewalk. In the Meiji period, Japan underwent a series of rapid changes, and as a part of that, law schools and universities began to appear in what is now Jinbōchō. At the same time, bookstores and publishers popped up all over the district in order to serve the needs of a growing student population. 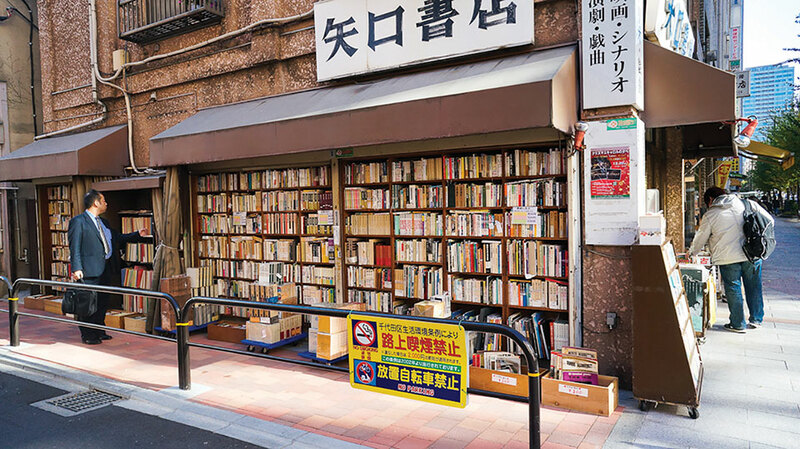 Today these bookstores are what differentiate Jinbōchō from the rest of the city. 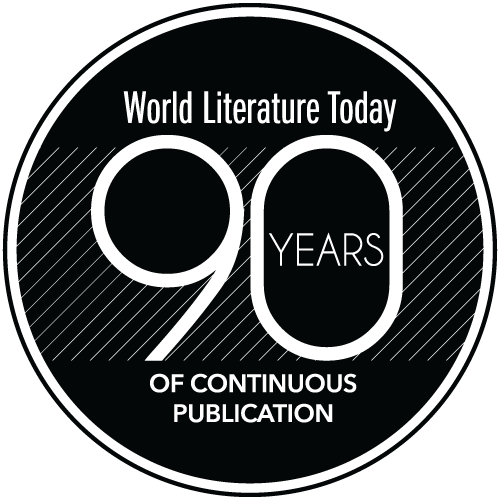 The district is home to somewhere around 160 different bookstores, each with its own specialties. There is a store for any kind of reader; multifloor chain bookstores share the same block with independent bookstores advertising with nothing more than a single, innocuous sign. Some stores focus on providing a vast array of cheap, secondhand titles, or they might focus themselves on a single genre of writing, while others will curate a stock of priceless antiques and rare first editions. Here, visitors can find any kind of printed works, from manga to medical textbooks, packed floor to ceiling. While many stores sell contemporary titles, the used bookstores are perhaps where Jinbōchō derives much of its fame. For the hard-core collector, there is the allure of stumbling across a treasure, but the casual reader may better appreciate the chance to wander. In addition, many of these stores carry other items of curiosity, such as prints of Edo and Meiji period artwork, centuries-old maps, or photography. The sheer volume of opportunities encourages an exploratory mind-set—there’s no end to the time one could spend ducking into different shops. Of course, many of these stores will only carry books in Japanese, but it’s a stop worth making even for those who aren’t fluent. Numerous bookstores sell books written in different languages, and there is even a visitors’ center with foreign-language assistance to guide tourists through the menagerie of shops. At any point, visitors can also step into one of the numerous coffee shops that line the backstreets of the district. Many of them have their own books for sale or to borrow alongside a few cups of coffee. Once the sun has gone down with the shutters on all the storefronts, these cafés offer the perfect place to crack open a Jinbōchō treasure.